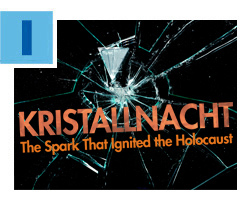 Join hundreds of community members and the Holocaust Memorial Miami Beach to commemorate “Kristallnacht: The Spark That Ignited the Holocaust” on Sunday, November 6 at 6 p.m. This year, the program will take place at Temple Israel of Greater Miami, 137 NE 19th Street, in Miami. Chaired by Wendy Reiss Rothfield, the evening will include presentations by Consul General of Israel in Miami Lior Haiat; former U.S. Ambassador to Venezuela Otto Reich; and and rare footage of the “Night of Broken Glass.” The Holocaust Memorial Miami Beach is a Committee of the Greater Miami Jewish Federation. Click here for more information. Mark your calendar now and plan to make a donation to the Annual Federation/UJA Campaign on Give Miami Day, an annual community-wide day of online matched giving, on Thursday, November 17. For every donation between $25 and $10,000 made to Federation through the GiveMiamiDay.org website, we will receive an additional gift from The Miami Foundation. All donations will support the Annual Federation/UJA Campaign, which funds more than 100 programs and agencies serving Jewish needs in Miami, in Israel and in more than 70 other countries worldwide. Last year, Federation received more than $500,000 from our community during this one-day event! For more details, click here. Thanks to Federation’s Jewish Volunteer Center (JVC) and funding from Blue Cross and Blue Shield of Florida, seven local nonprofits received Miami Service Challenge grants to participate in rewarding community service projects. Each organization will use the funding to implement one of 10 turn-key JVC projects, such as Everything but the Turkey and Souper Bowl Sunday. 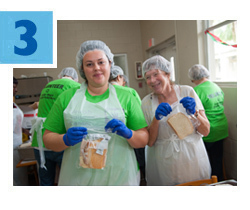 The Miami Service Challenge will increase the number of local volunteers by nearly 1,000 participants. Grants were awarded to The Tribe, Beth David Congregation, Hebrew Academy (RASG), Jewish Community Services, Congregation Dor Chadash, Beth Torah Benny Rok Campus and Temple Beth Am. To volunteer, click here. 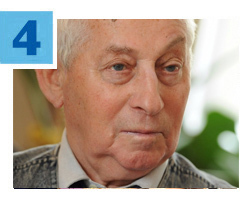 Because of your support, Holocaust survivors know they are never alone. Through the Annual Federation/UJA Campaign, Federation’s overseas partner, the American Jewish Joint Distribution Committee (JDC), in partnership with the Claims Conference, these frail and elderly Jews receive holistic care and critical services in cities across the globe. Whether they need medicine and healthcare supplies, food packages or social services in Paris, Budapest or Kiev, your donation to Federation helps survivors live in dignity. Read more. 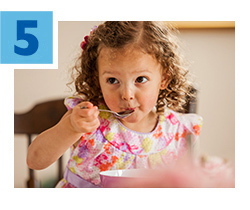 Today in Israel, hunger is a real problem, with one-third of children living below the poverty line and one in five adults lacking access to enough nutritious food to maintain a healthy and active life. Federation supports real solutions to food insecurity by funding Israeli nonprofits that “rescue” food from dining establishments, have volunteers pick from farms, provide sandwiches to kids in school and deliver food packages to Holocaust survivors. To learn more about our work in Israel, click here.